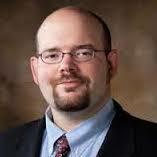 Chris Goering is an Associate Professor of Secondary English Education at the University of Arkansas in Fayetteville. He received his Ph.D. (2007) and M.Ed. in Curriculum and Instruction (2005) from Kansas State University, and his B.A. in English Education (2000) from Washburn University. Prior to entering higher education, he taught high school English and leadership courses at Washburn Rural High School in Topeka, Kansas.